So, the Supreme Court upheld health care bill yesterday. In other news...Ultimate players uphold SOTG every day. The integrity of Ultimate depends on each player's responsibility to uphold the Spirit of the Game, and this responsibility should remain paramount. As USA Ultimate's US Open games remain uncertain due to the Colorado fires, the smoke - specifically particulate matter - impacts the area's air quality. Air quality is an important criterion for determining playability. First & foremost: Inhaling smoke is not good for anyone, even healthy people. Dust masks do not filter out the particles and gases in wildfire smoke. Particulate matter - coarse visible and fine invisible particles including soot and ash that can reach deep into the lungs and may contain irritating and cancer-causing compounds. Polynuclear aromatic hydrocarbons - a class of organic compounds found on the particulate matter from forest fires, wood stoves, and fireplaces, some of which may be carcinogenic with extended exposure. Carbon monoxide - a colorless, odorless, toxic gas produced in highest amounts from smoldering forest fires. Firefighters working near the fire are at greatest risk for high doses of carbon monoxide. Areas even a few hundred yards downwind of the fire experiencing high particulate smoke levels typically do not have high levels of carbon monoxide. Signs of high carbon monoxide levels in the blood include headaches, dizziness, nausea, and decreased mental functioning. Aldehydes - compounds that are extremely irritating to the eyes and mucous membranes of the mouth and nose. Some like formaldehyde are carcinogenic, while others like acrolein can injure lung tissue. Volatile organic compounds - strong irritants, some of which are carcinogenic. 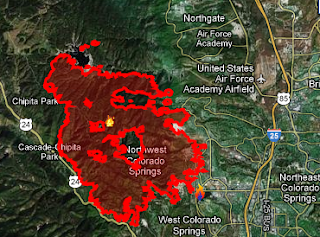 Next week's U.S. Open is in jeopardy due to the 4,500-acre Waldo Canyon Fire near Colorado Springs, Colorado. USA Ultimate announced today revised plans for the U.S. Open Ultimate Championships and Convention following a difficult and tragic week for its host city of Colorado Springs. The world-class tournament and industry convention, scheduled for July 5-8, will go on as planned, however both elements have undergone significant changes. Originally hosted by the Air Force Academy, the competition has been moved to Fountain Valley School in southeastern Colorado Springs. The organizer's convention continues to be hosted at the Antlers Hilton Hotel, however several sessions have been cancelled and a new schedule has been published. View the latest tournament schedule, field map & adjusted sched. 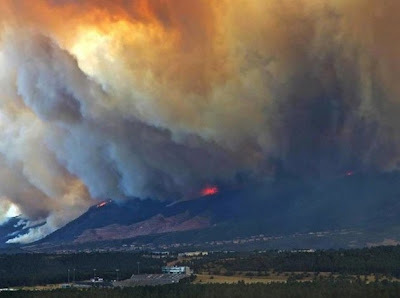 We have been informed that the U.S. Air Force Academy – the championship venue of the inaugural U.S. Open Ultimate Championships, July 4-8, 2012 – may no longer serve as the host venue of the tournament because of the aggressive and rapidly advancing forest fires in the area. On Tuesday evening, with the fire advancing directly onto the grounds, the U.S. Air Force Academy announced a partial evacuation, as well as the tentative cancellation of all athletic events. This could change over the next two days, but only time will tell. The U.S. Air Force Academy has informed USA Ultimate that it will make a final decision on the availability of its athletic facilities on Friday, June 29. 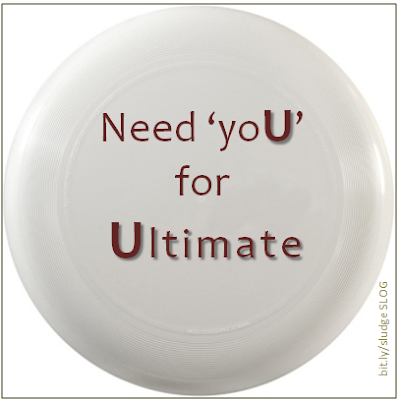 USA Ultimate will continue to keep the Ultimate community informed on the latest developments as they occur. Meanwhile, USA Ultimate has also learned that its primary backup competition venue is being utilized as an evacuation center for area residents. As a result, USA Ultimate and the Colorado Springs Sports Corporation are working non-stop to secure alternate field sites in Colorado Springs and create a contingency plan that will allow the U.S. Open Ultimate Championships to continue as planned. The convention component remains completely unaffected. Other elements of the event, such as the opening ceremonies, are likely to be affected by this local tragedy, and we are committed to making it the best event we possibly can under these uncontrollable, difficult, sad and tragic circumstances. USA Ultimate continues to monitor the situation and will update all of the attendees and the Ultimate community with any developments as they occur. For the latest updates, please visit www.usaultimate.org, or www.facebook.com/usaultimate. Good news: Your Ultimate game is scheduled on a turf field. Bad news: There's another Ulti game scheduled at the same time. 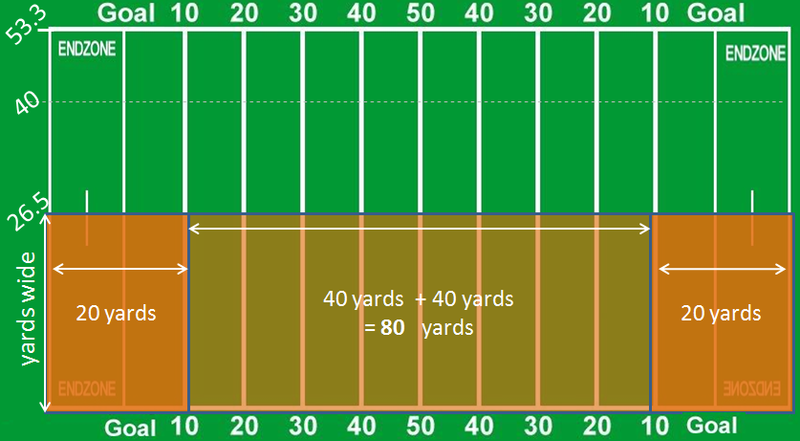 If you must share the area on a football turf field, you definitely lose some field width since 2 fields that are supposed to 40 yards wide can't fit in the 53-1/3 yard space. 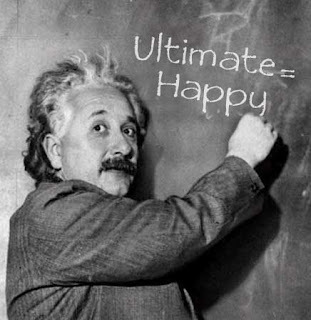 If you reduce all dimensions one-third, then you will end up with a beach Ultimate field. 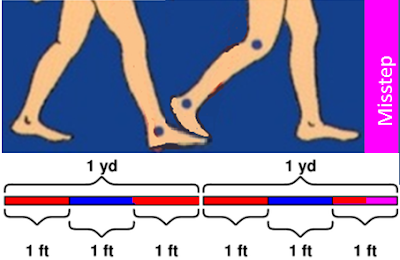 Length-wise dimensions are just like the AUDL field. There is a shared sideline. If you are against stepping on plastic discs, then you're exempt from this ab exercise. Probably not the Frisbee Workout Jack Black uses whilst on tour. On the longest day of the year, here's another chance to...EAT MORE DRINK MORE BEER - dubbed "Summer Solstice Sludge Suds Soiree"
NOTE: Granville Moore’s specializes in Belgian beer, frites & moules. 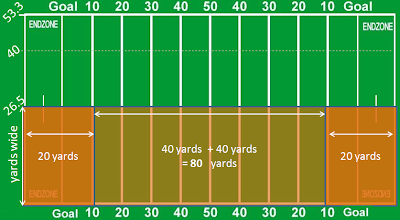 Setting up an Ultimate field is so much easier when on a lined football field. On a grass field, the task is harder & the field usually ends up short + narrow. Why? How? Find your inner pace & setup a right-sized field by avoiding this common calculation misstep. On average, every 6th measured pace loses 1 yard. See visual below of 1st and 2nd measured steps. 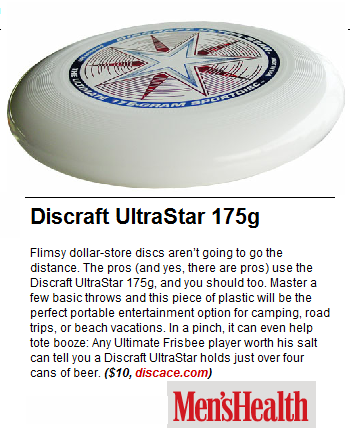 Between an iPhone protective case ($180) & a HTC Android phone ($200), the flying disc for Ultimate appears in the top 3 of a best gift list. Ready for some off-field entertainment about on-field happenings? 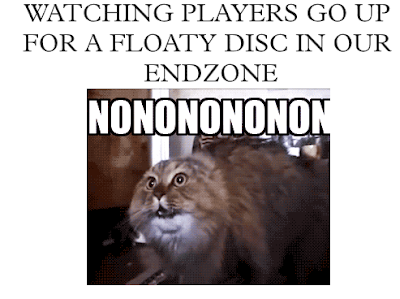 Get prepared to be amused by this tumblr site explaining Ultimate powered by GIF Animation. 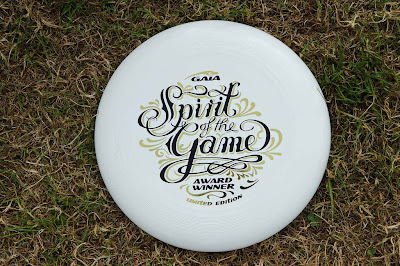 From "WhatShouldUltimateCallMe [It's Ultimate, Not Frisbee]"
For a celebrity actor & musician, it's nice to see Jack Black has time to talk about the rules of Ultimate, and knows the benefits of throwing the disc around. 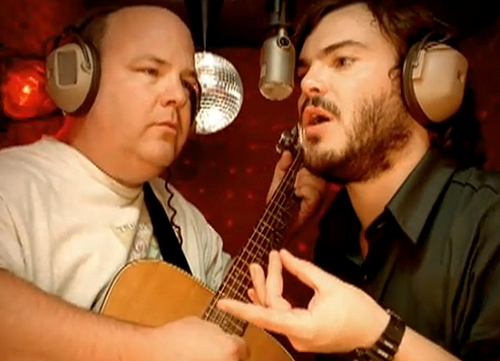 "When [Tenacious D is] on the road we go for Frisbee workouts," Jack explained in an interview with Q magazine. "You know how dogs will run and catch a Frisbee with their teeth? Basically like that. Kyle will throw the Frisbee and I'll go chase it down and vice versa until we get a good lather going. But we don't go to the gymnasium together." Air turbulence (wind) is known to affect where a disc lands. 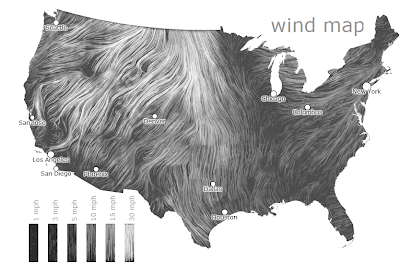 Wind may also be the deciding factor for future locations of USA Ultimate's college championships. "...none of that matters during the rounds when the winds are consistently 15+ MPH and gust to over 30. Last year's open final, the second half of this year's pre-quarters, and this year's women's semi between Michigan and Oregon were incredibly frustrating to watch. It's also disappointing that teams that practice for 100s of hours and commit most of their free time and money to this sport have their season determined by application of a much smaller set of skills than they practice and a healthy dose of luck. To be clear, I'm not saying that the teams that won those games don't deserve it. They played better and smarter given the conditions and deserved the victory. But I don't think it's how we want to determine champions in our sport or showcase. General consensus is that we can’t host in Boulder again for that reason alone despite how great the rest of the event is. Will Deaver stated that it will not be in Boulder again." Hmmmmm.... "How likely are you to be able to borrow a disc? "; "What are the chances that someone will lend you their socks? "; "How likely are you to borrow cleats? "; "What are the odds of borrowing cones?" If you are a forgetful type with a wondering mind, the supposed borrowing odds of Ultimate game essentials are above. Apparently, Morrison thought this would help capitalize on the UFO and flying saucer craze. Then in 1957 Wham-O acquired the marketing rights and changed the name to Frisbee. 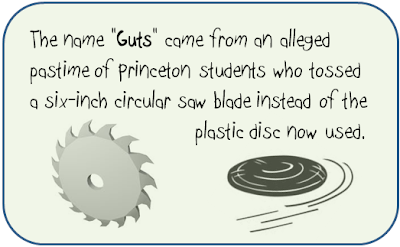 While the product languished under the name "Pluto Platter," it really took off when named Frisbee, going on to sell hundreds of millions of units. The inventor was skeptical of the name change, but the results are what they are. 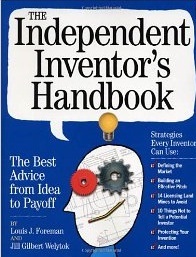 Inventors are talented, creative people, but they simply cannot do everything, and this one tale explains the power of marketing and how obtaining assistance from qualified people can and does significantly help. "Hell is a place where nothing connects with nothing." -- T. S. Eliot, Introduction to Dante’s Inferno. 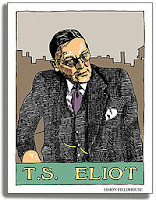 Mr. Eliot may as well as been referring to an Ultimate offense that is not catching what is supposed to be caught and not throwing what ought to be thrown. Do you play this word with Friends?